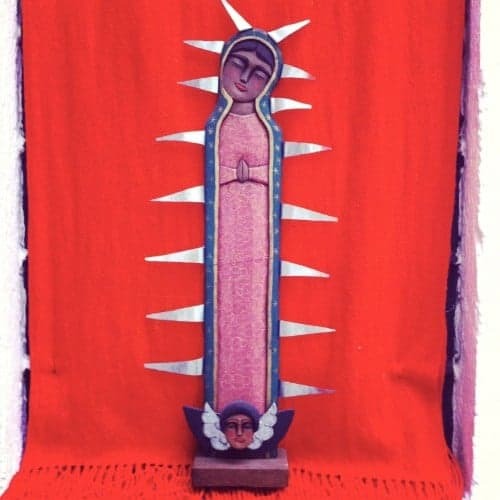 If you’re in Mexico in early December, you’ll soon be wondering who is the Virgin of Guadalupe and what is the celebration of Our Lady of Guadalupe? 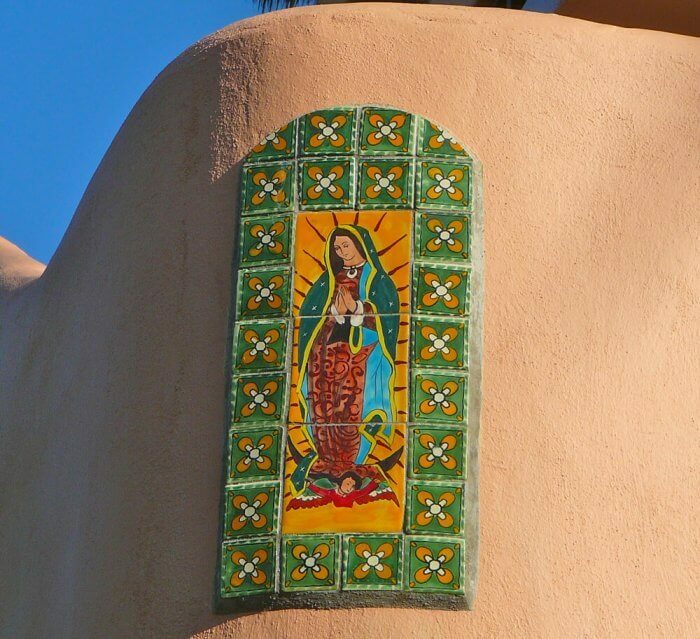 In Mexico, you can see her likeness on everything from lampshades to purses to buildings. 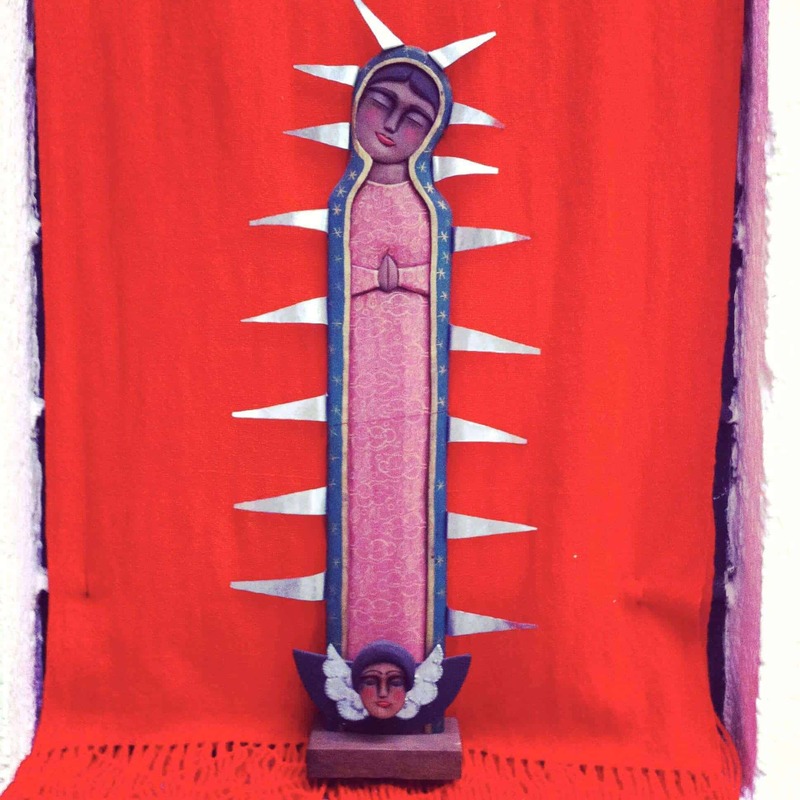 On December 12th, Catholics across the Americas celebrate the Feast of Our Lady of Guadalupe. 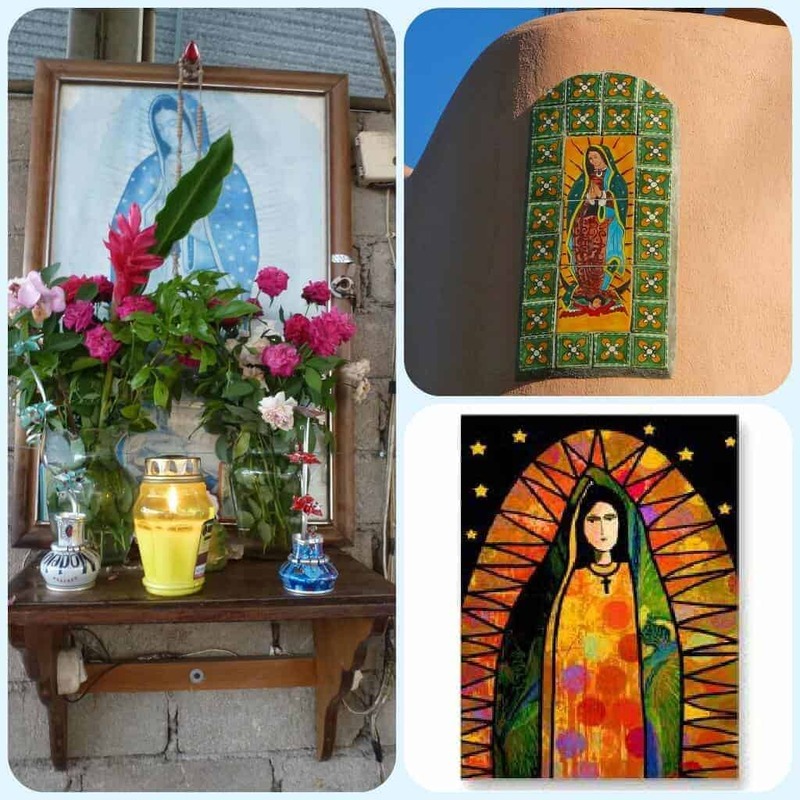 Here’s a guide to the story behind this important religious and cultural image as well as the best places to pay pilgrimage to her venerated image and and participate in Our Lady of Guadalupe Feast Day on December 12th. Who is our Lady of Guadalupe and why is she so important? First you need to understand the story behind the image. December 12th, Catholics across the Americas celebrate the Feast of Our Lady of Guadalupe commemorating the day in 1531 when the apparition of the Virgin Mary appeared in Mexico City, in the form of the Virgin of Guadalupe. In December 1531, the Virgin appeared three times — in the form of an indigenous princess — to Juan Diego imprinting her image onto his cloak. Since then, she has become an icon not just of religious faith, but of ethnic pride and resistance against oppression. In Chiapas, her image is even shown wearing a Zapatista bandana. Juan Diego was canonized in 2002 as Saint Juan Diego Cuauhtlatoatzin. Juan Diego’s cloak is preserved and set in gold at the centre of the altar at the Basilica of Our Lady of Guadalupe, a Roman Catholic church and National shrine of Mexico in the northeast neighbourhood of Mexico City. It’s the main pilgrimage site for the celebration of the Virgin of Guadalupe. The basilica is the world’s most visited Catholic pilgrimage site in the world. If you have a long layover at a Mexico City airport hotel, it’s well worth visiting this important religious and cultural site. 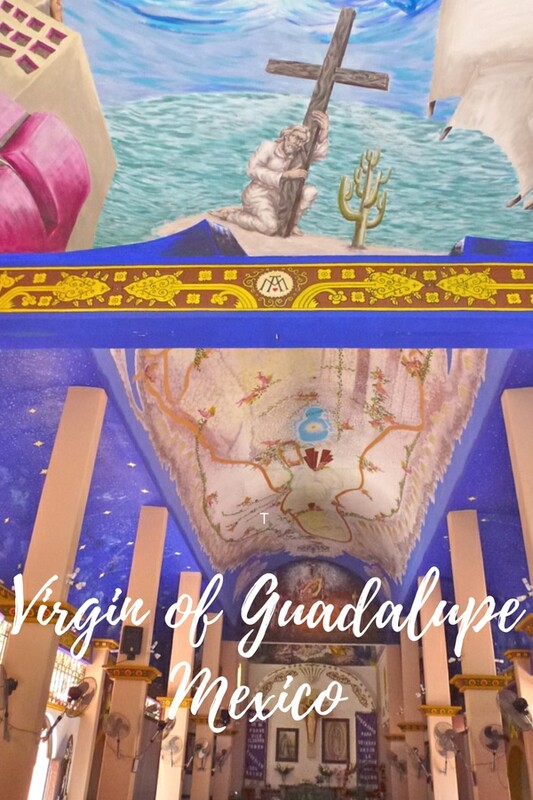 On the ceiling of a small church in La Crucecita, Huatulco, she is represented in the world’s largest mural dedicated to the Virgin of Guadalupe. In Huatulco, you can check out the mural on the website of Mexican artist Jose del Signo or visit it in person. The church is located across from the zocolo in La Crucecita and is open to the public. 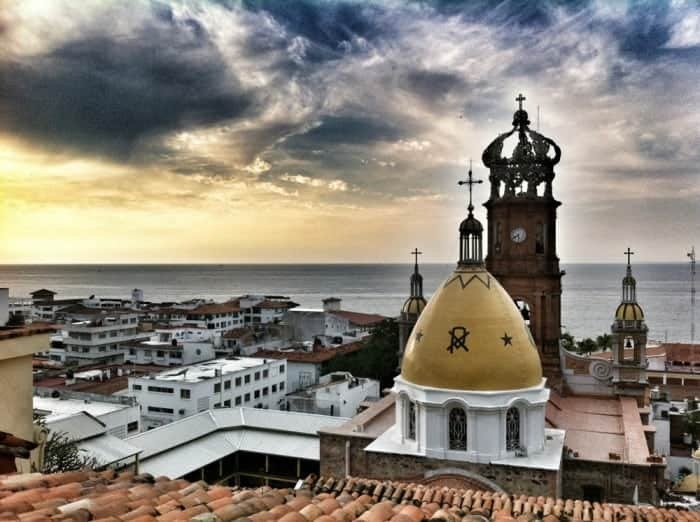 Puerto Vallarta is home to the main parish Church of Our Lady of Guadalupe, the iconic symbol that dominates the city’s skyline during our Lady of Guadalupe Feast Day. There are processions, pilgrims, fireworks and of course traditional food being served in the many restaurants in Puerto Vallarta’s old town. And many, many likenesses of the Virgin on religious objects, clothing and souvenirs. Insider Tip: A top spot to see the processions is La Casa de los Omelets, located on the second floor on Independencia 225 above Calle Juarez near Our Lady of Guadalupe church. Get there early to score a seat on the balcony. What is most amazing though, is how our Lady of Guadalupe draws devotees from all religions, faiths and beliefs… proving that, not only is the Virgin of Guadalupe everywhere — she is for everyone. Beautiful pictures! The procession seems like an amazing experience… would love to see in person. 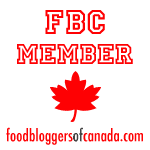 Goal for 2013! It sounds incredible. Bring back a lampshade. Lovely post, Michele. The photo of the procession in Puerto Vallarta is especially moving. 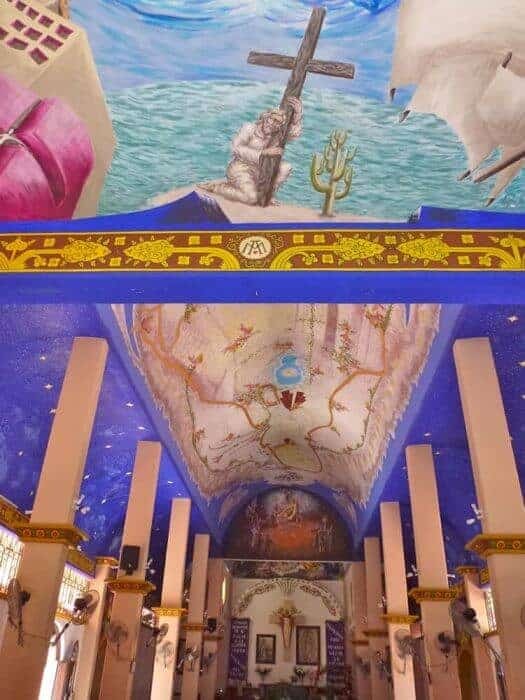 I remember seeing the ceiling mural at the church in La Crucecita – it is spectacular. Beautiful pictures, especially the procession in Puerto Vallarta. 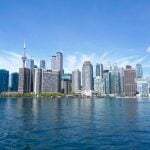 I think religious processions and events are great for locals and also visitors to get a view of important historic, cultural and religious ceremonies effect a country and its traditions. I haven’t been to Puerto Vallarta in years and had no idea that all these processions and celebrations took place. I love how the iconic and sacred symbolism is mixed up with all things secular; it makes Her all so much more accessible to everyone. 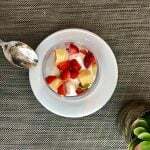 Thanks for a great post Michele. 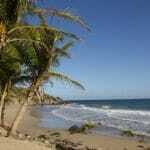 We have a second home, and vacation rental,in cozumel. You can see the Lady everywhere there as well!